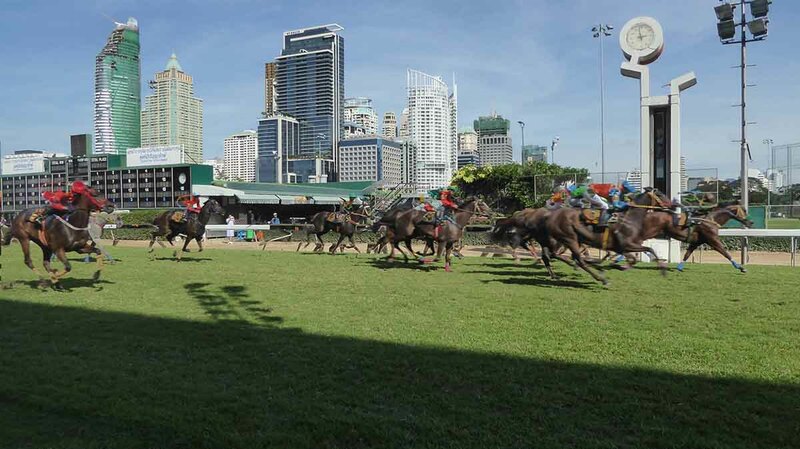 Sunday horse racing in Bangkok is held twice a month. 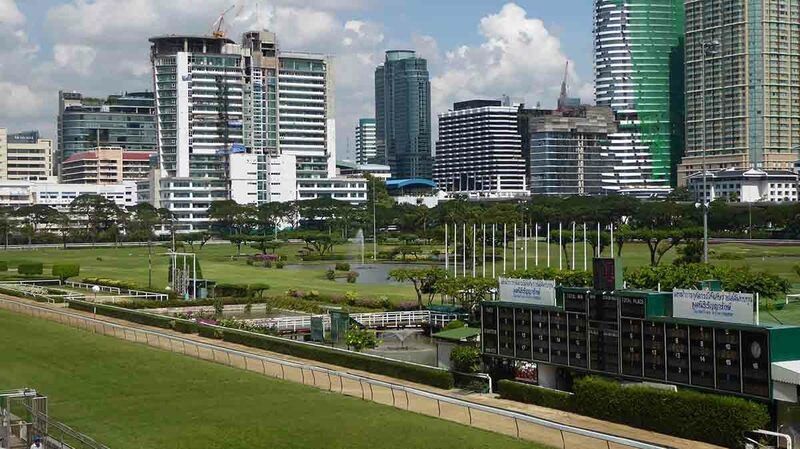 Bangkok has one horse racing track, the Royal Bangkok Sports Club (RBSC). There are 10 races on the card starting at 12.00 and finishing at 17.30. 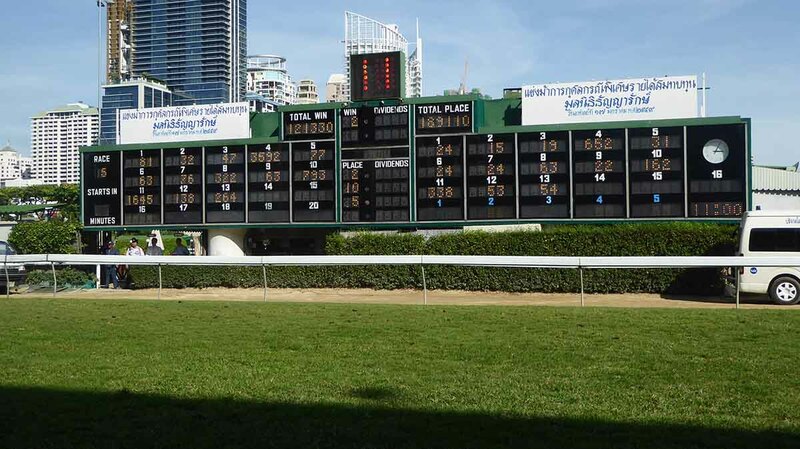 Check the fixture calendar: Horse racing is one of the most popular live sports in Bangkok. 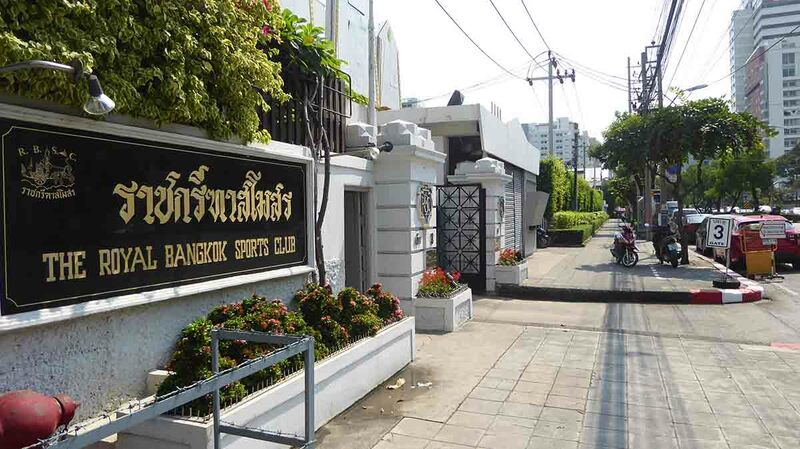 The RBSC is a short walk from Siam BTS Station. The entrance is about 400m down Henri Dunant Road. General admission to the main stand is 100 baht. There is a member’s enclosure but this is not open to the public. There is also a cheaper 50-baht enclosure but the view is not so good. 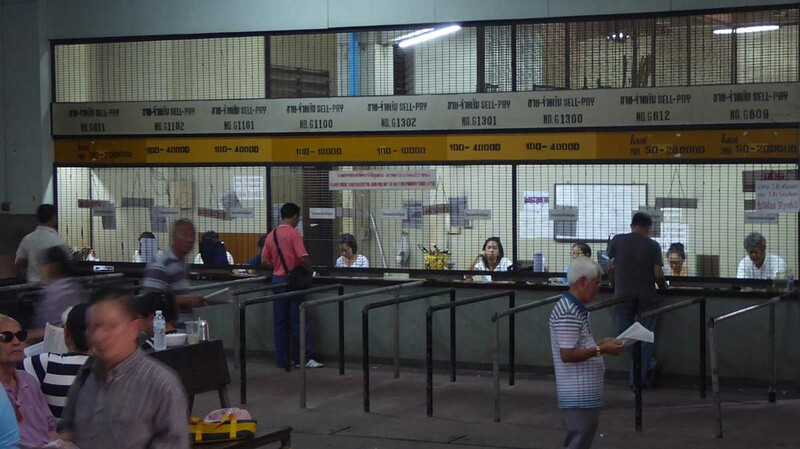 The ticket booth is at entrance number 3. English language race cards which include a form guide are available from vendors who display them on tables near the entrance. They cost 100 baht. These are not available inside the course so buy before you go in. Gambling is illegal in Thailand but allowed within the racecourse. It works on a tote system. You can bet win or place or forecast the first two or three finishers. The smallest stake is 50 baht. To make a bet tell the clerk the amount you are betting, the horses number on the race card and state if win or place. Example 100 baht on number 5 to win. Most clerks understand and speak English. You can check the odds on the many TV screens around the venue and on the big electronic tote board by the finish line. 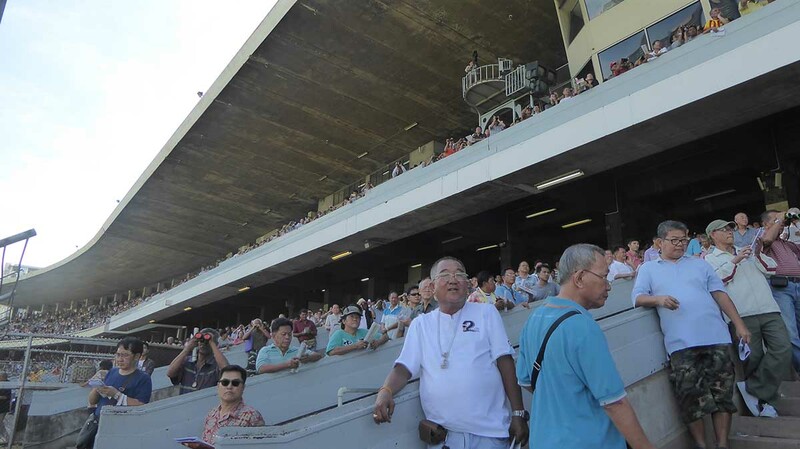 Before each race, the horses parade in front of the stands so you can get a good look at them. The atmosphere in the crowd is good and there are cheap snack stalls and beer is 35-50 baht a can depending on the brand. Water and soft drinks are 10-20baht. Location: Henri Dunant Road, Ratchaprasong, Bangkok. Opening Hours: 11.00 – 18.00. First race 12.00. Racing on 2 Sundays per month. Admission: 100 baht. Use entrance 3. Getting There: BTS Siam (exit 6). Turn right into Henri Dunant Road. Then 400m to the course.